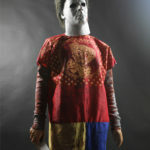 A custom mannequin creates a life-sized Michael Myers display for a screen used movie costume! This life-sized Michael Myers movie costume display was created for a pair of coveralls worn in Rob Zombie’s 2009 film Halloween II. 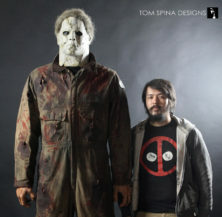 Not surprisingly this display required a unique mannequin that need to be customized to match actor Tyler Mane’s large physique. Not only is Mane 6′ 8″tall, but he is also fairly muscular, so we created a custom mannequin which filled out the coveralls and gave the statue the proper mass and height. 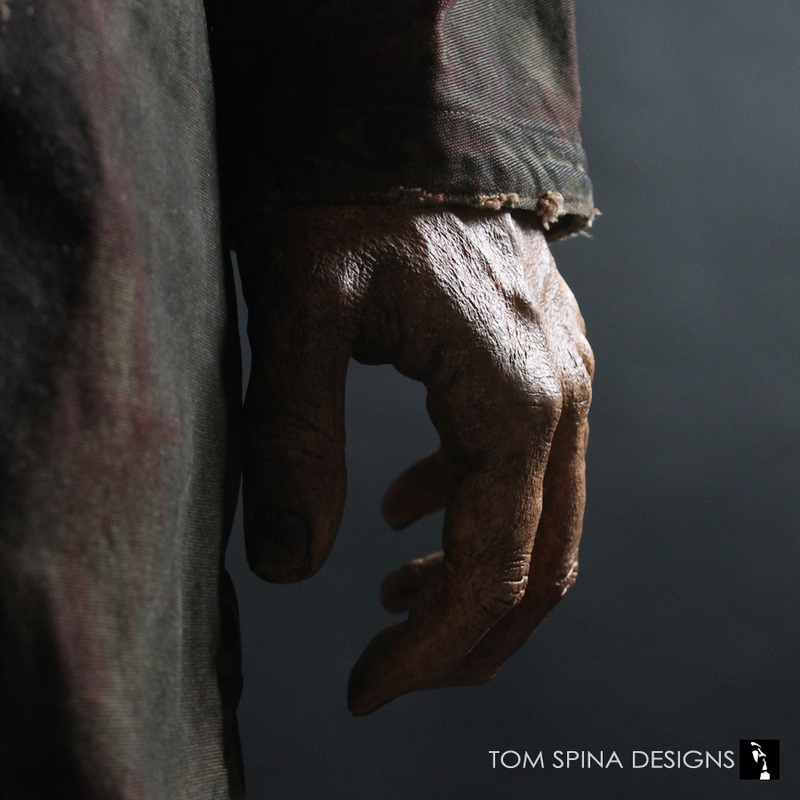 For the giant hands we used a pair of life cast hands (of a very large individual) which we painted and added faux dirt for that authentic serial killer atheistic. We also added a pair of replica boots which were also distressed to match the studio work on the costume and still fit in with Michael Myers’ “just killed a dozen people” vibe. 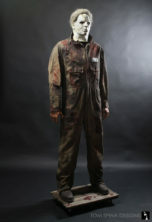 The menacing slasher statue was finished with a replica mask provided by the client. The statue stands atop a themed base which we created as a wooden slated floor for that grungy modern horror movie style. 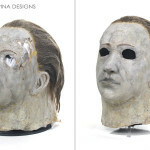 We the distressed all of the wood boards using various methods to make the boards look old and destroyed and we finished it off with a spatter of glossy faux blood because…it’s Michael Myers in a Rob Zombie movie! 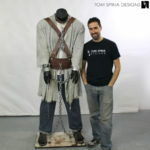 The customized super human sized mannequin body is similar in size and proportion to our extra large Darth Vader sized mannequin made to display that costume for an official video game company. 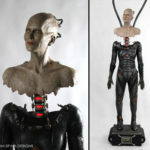 We’re often commissioned to create custom bodies like these for characters and costumes that would never fit a standard mannequin. 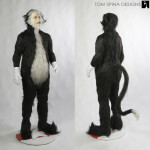 Have an original movie or television costume in need of a custom mannequin or themed display? Email or call today and let’s discuss your project!